1. 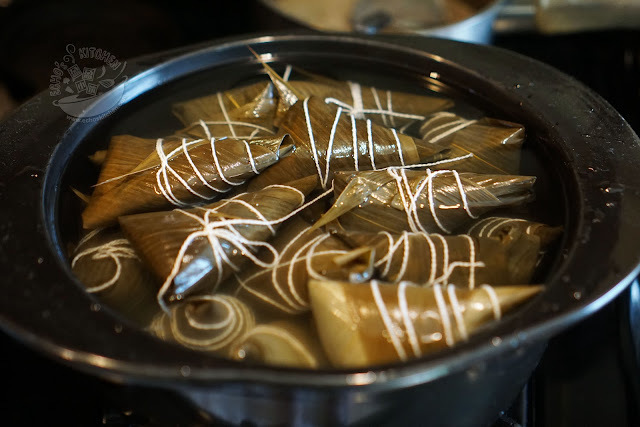 Soak the bamboo leaves and rice overnight, the next morning, clean and soak dates for 1-2 hours, pit to remove seeds if you like. 2. To assemble , take one bamboo leaf and twist it twice to form a small cone. 3. 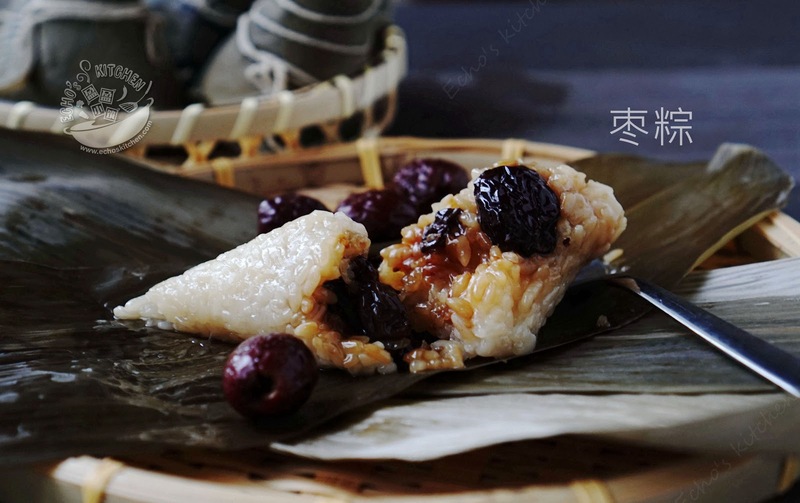 Place a teaspoonful of glutinous rice at the bottom of the cone, add a date and 2-3 raisins in the cone, add some glutinous rice then another red date and 2-3 raisins. Top with more rice to cover the date. 4. Bring together the two sides of the leaf towards the center over the rice, then fold the top of the leaf down to cover the rice completely. Wrap the rest of the leaf around the shape. Tie with a cooking twine string. 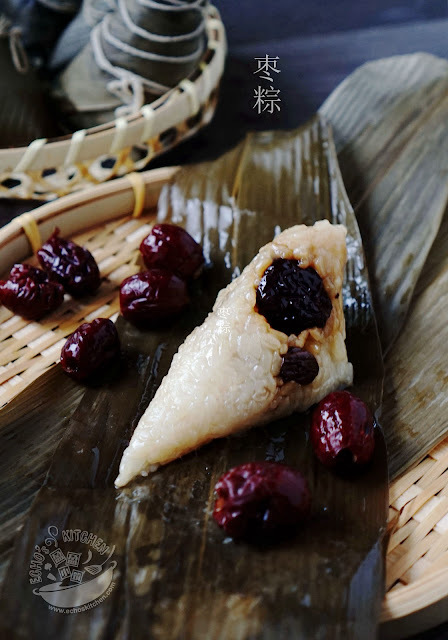 ( It is really hard to take pictures when I was working alone, you can try searching on youtube to learn how to wrap dumplings in different shapes if you are interested to learn). Repeat the steps to make all the dumplings. 5. 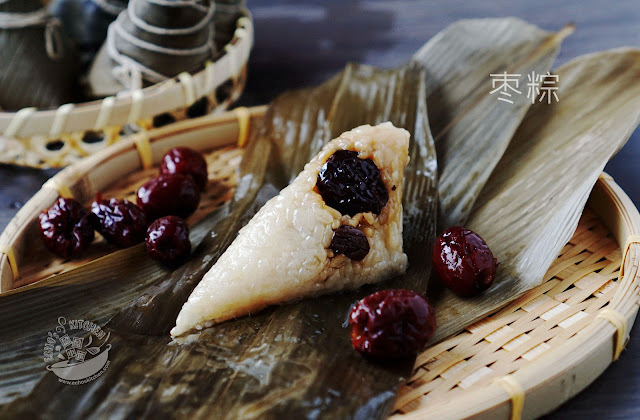 Place Zongzi in a deep pot with water that submerge all the Zongzi. 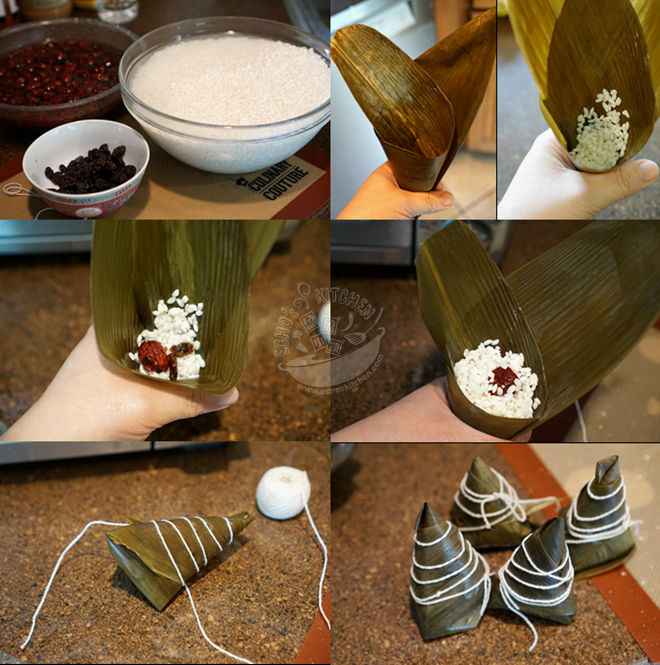 Place a ceramic or heavy plate on top to prevent zongzi from floating. Bring the water to a boil then leave to simmer for 3-4 hours, turn the stove off and let the zongzi sit in the water for another hour before taking it out. This dumpling is equally delicious both warm and cold. 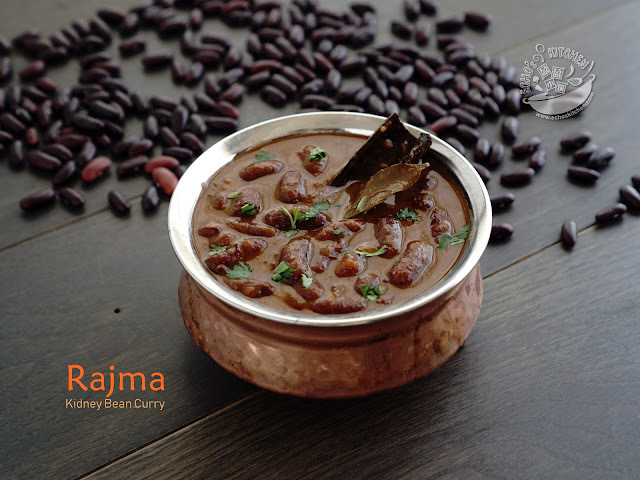 Serve with some honey or sugar to sweeten it if you wish.